Summer time brings a bounty of delicious foods that we truly love incorporating into our meals. 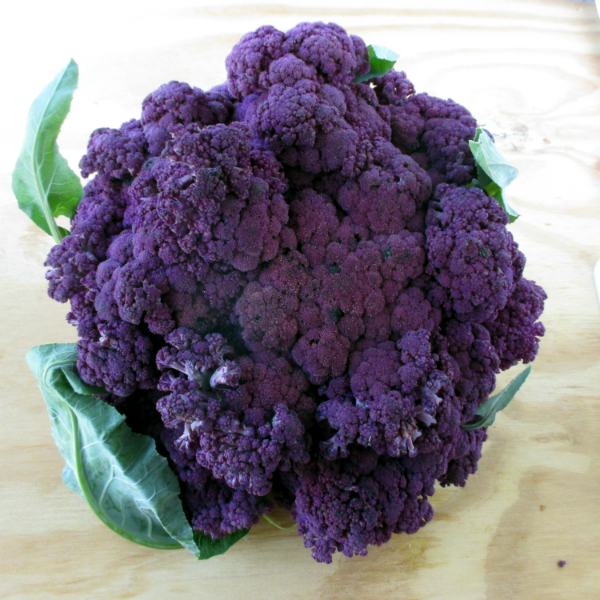 Gracing the menu at Lunch and Dinner, you will find organic purple cauliflower. Chef Scott is using it in a Cauliflower bisque that is a hit among many and accented with a touch of chive oil. 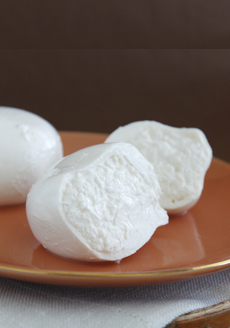 A favorite appetizer is the Burrata cheese. It first entered our menu last year and diners loved this unique cheese, made with mozzarella and cream. Its soft texture is delicious and worth a try to accompany your meal. It is currently available for Lunch and Dinner. Ours is accented with fava beans, mint, basil, lemon, olive oil and delicious grilled sourdough bread. For meat-lovers, as a dinner option, you should consider the flat iron steak. Not only is the steak cooked to perfection, but it is accented with organic fingerling potatoes. Treat yourself to a visit at Julia’s soon! Do you have anything in particular that you now want to try? 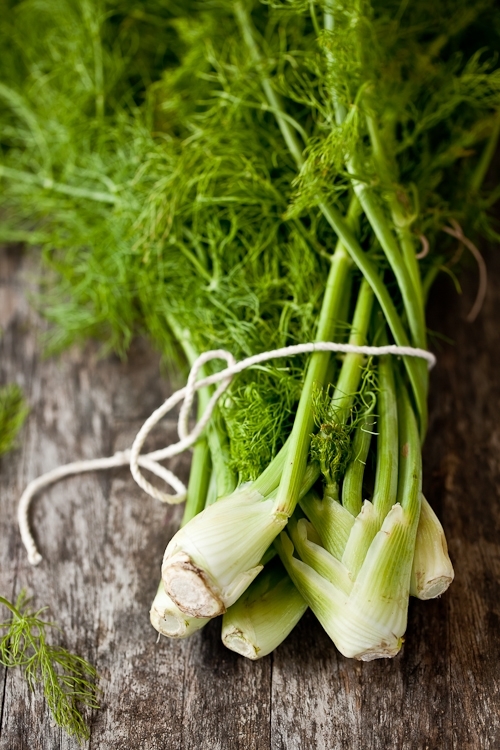 At Julia’s, we are all about using fresh, local ingredients in our cooking. 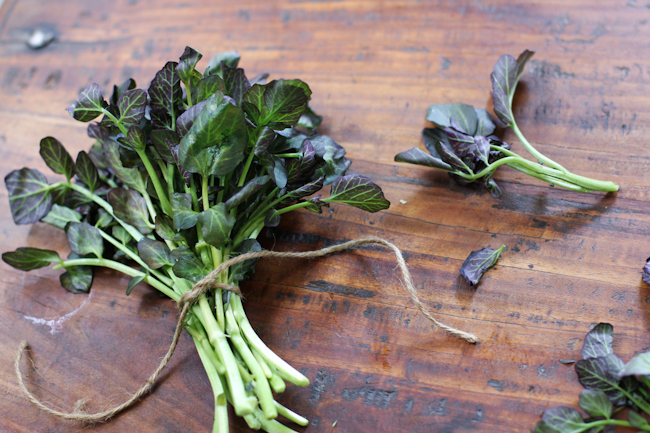 Organic red watercress – it is a colorful departure from the usual green variety. 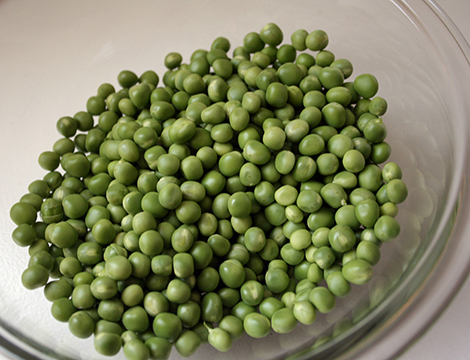 And many diners are loving the locally grown English peas. And, as a real treat for dinner, we have local King Salmon accompanied by delicious green and yellow beans. I love the flavors that come alive in a dish with super fresh ingredients. 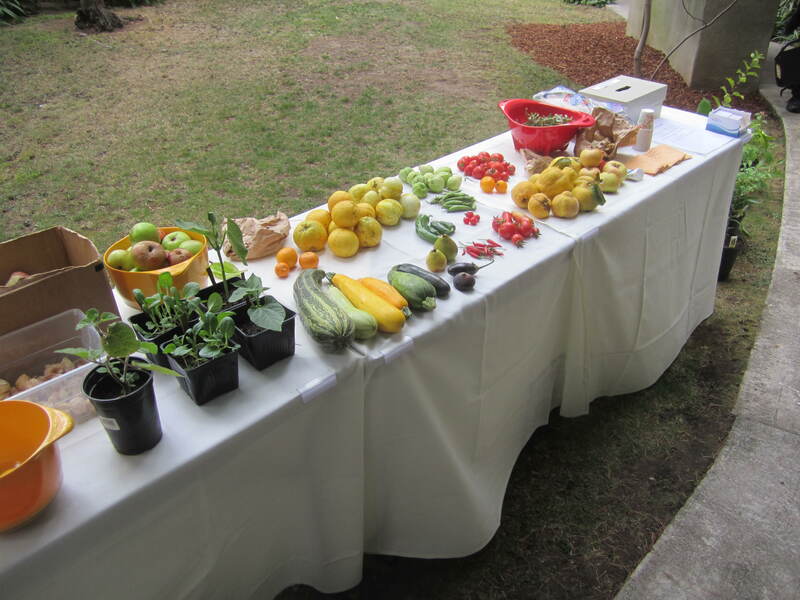 Welcome to the second installment of our locally sourced food post. If you missed the first one, catch up here, if you like! Soil health is essential for the survival of our species. Conventional farming practices are rapidly depleting topsoil fertility. Creating and sustaining soil fertility is the major objective for organic growers. Buying locally grown foods decreases dependence on petroleum, a non-renewable energy. Buying from local producers conserves energy at the distribution level. 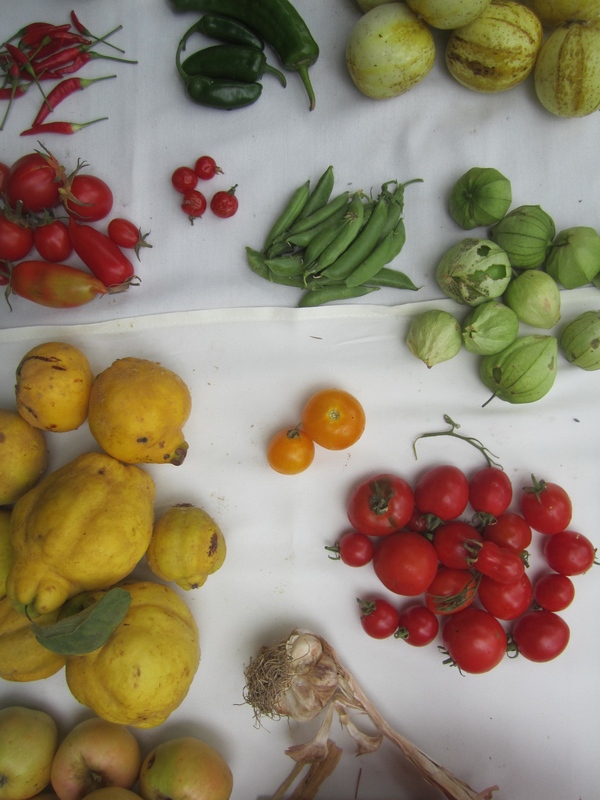 Organic growers use practices that protect soil, air and water resources. Dependency on far away food sources leaves a region vulnerable to supply disruptions, and removes any real accountability of producer to consumer. Regional food production systems, on the other hand, keep the food supply in the hands of many, providing interesting job and self-employment opportunities, and enabling people to influence how their food is grown. 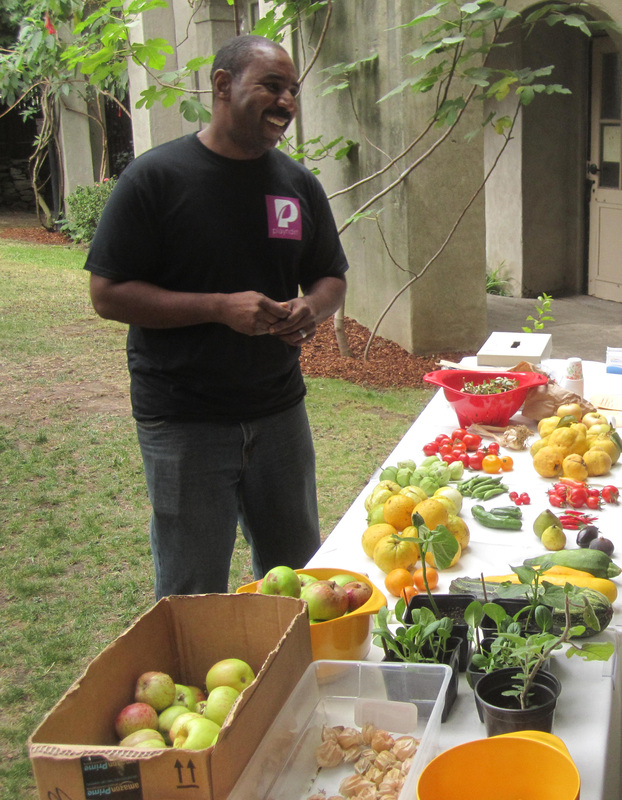 When you buy locally produced organic food you cannot help but raise the consciousness of your friends and family about how food buying decisions can make a difference in your life and the life of your community. It is the perfect day to celebrate the special women in your life. On Sunday, May 10th, we will have two seating times & an array of delicious food. 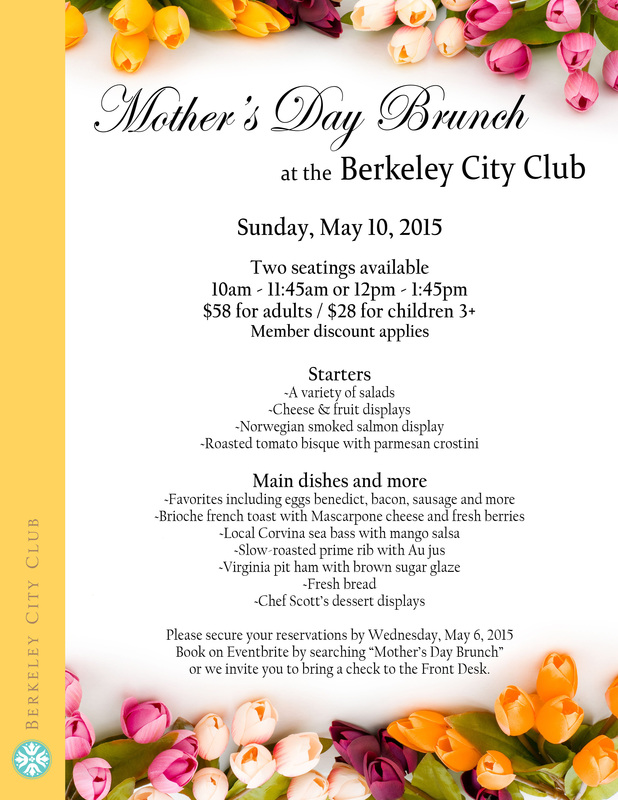 Come enjoy the beautiful setting of the Berkeley City Club and treat yourselves to a memorable occasion. Reservations are available on Eventbrite until Wednesday, May 6, 2015.